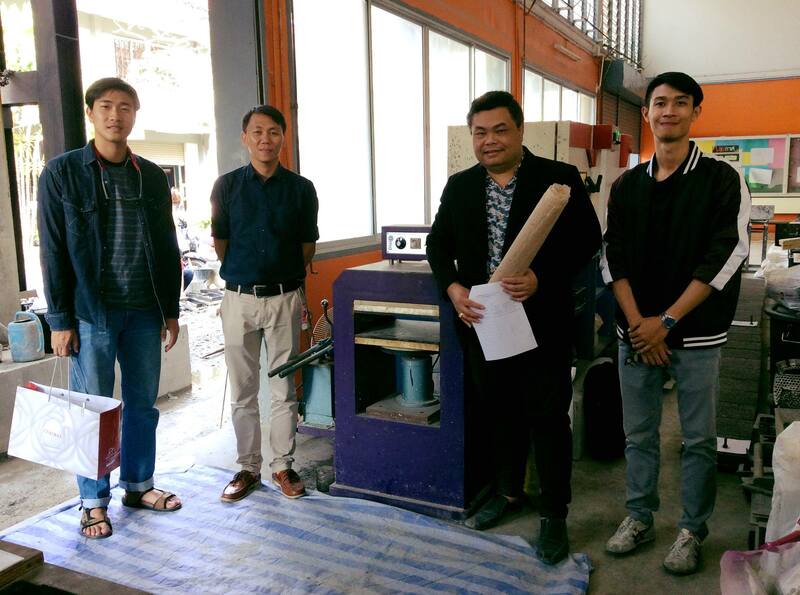 On January 11, 2019, Assistant Professor Noppadon Sangwalpetch and students in Creative Product Design visited Dr. Prachoom khamphut, the head of the Environmental Friendly Materials Research Unit of Rajamangala University of Technology (KMUTT) Thanyaburi. This visit was to discuss the concept of environmentally friendly research and to create research that is beneficial to nature. It can also be extended to teachers and students within the creative product design field.